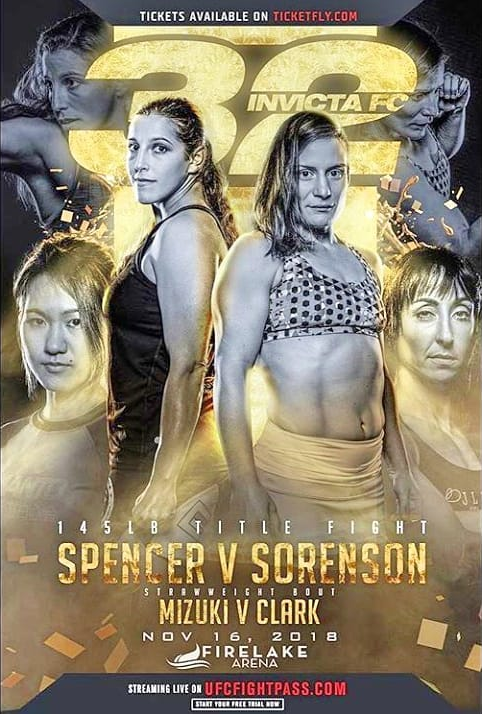 Invicta FC 32: Spencer vs. Sorenson is an upcoming mixed martial arts event to take place on November 16, 2018 at the Firelake Arena in Shawnee, Oklahoma, United States. This event is to be headlined by Felicia Spencer vs. Pam Sorenson for the vacant Invicta FC Featherweight Championship. The event will also feature the Invicta return of Kaitlin Young, who had been working as a matchmaker for the company. Erin Blanchfield was originally scheduled to fight Luanna Alzuguir but Alzuguir's MMA debut was delayed so she was replaced by Kay Hansen, who called out Blanchfield after her victory at Invicta FC 31. 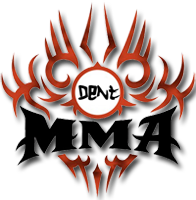 Mizuki was originally scheduled to fight Heather Jo Clark in the semi main event but Clark was forced out due to injury on October 4 and replaced by former UFC fighter Viviane Pereira who would make her Invicta debut.